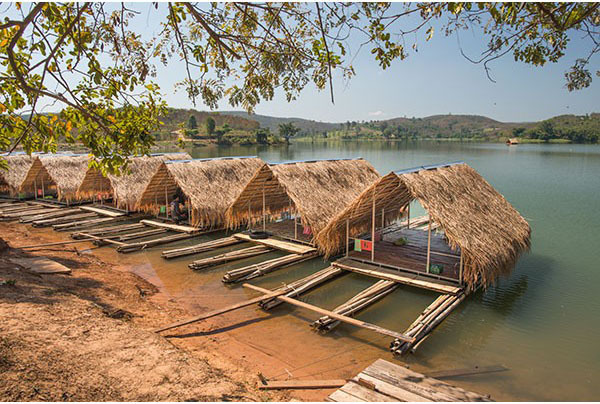 In addition to its importance in the history of Thailand, Phitsanulok features rivers, mountains, and forests, ideal for lovers of natural beauty. 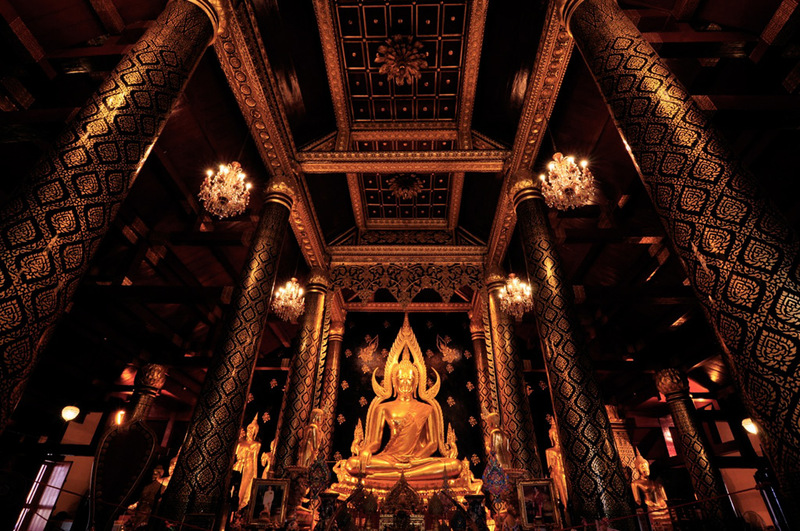 Wat Phra Si Rattana Mahathat also colloquially referred to as Wat Yai, is a Buddhist temple in Phitsanulok Province, Thailand, where it is located on the bank of the Nan River near Naresuan Bridge. A small village in Tambon Huai Huai Sum Sum know Nakhon Thai district had knowledge that the locals go to relax. This is not like a conventional floating restaurant. But Patterson's being dragged to the middle of the reservoir. Visitors can dine overlooking the reservoir happily. It also has activities such as swimming, boating and fishing. 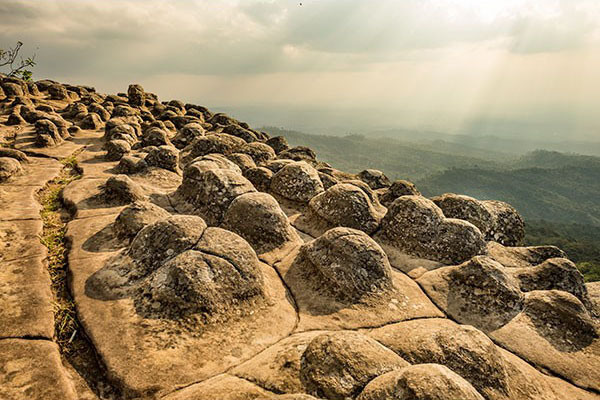 Phu Hin Rong Kla National Park covers an area of 191,875 rai or 76,750 acres of land, located 130 kilometers from Phitsanulok town center. The park has many different terrains including waterfalls, lush forests, and plains of rocks with the highest point in the park at 1,617 meters above sea level. There are different types of rock formations with splits in the rocky grounds and uneven formations. 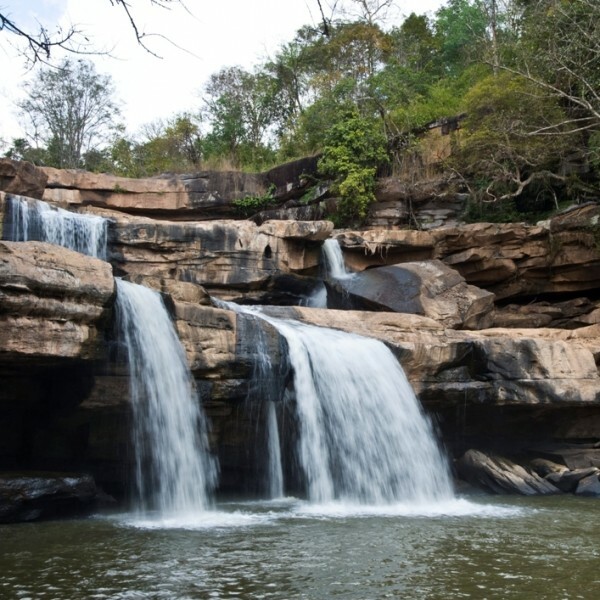 Namtok Kaeng Sopha is Phitsanulok’s largest waterfall located along Highway no. 12, 2 kilometers off of the 70 km marker. The 2 tier waterfall cascades from the steep cliffs that provide a different ambience for every season. During the dry season, the rocky surroundings are perfect for hiking and exploring.